The 88th Women's Amateur Golf Championship is happening now in St. Augustine, Florida, June 15-18, 2017. As a I just started playing golf, I am looking forward to viewing this event. Yes, I know the US Open is this weekend, but this oldest and most prestigious event on the Women's Championship schedule is being held in my quaint town of St. Augustine. And what a great Father's Day gift to the winner's dad! Appropriately, history is being made in our nation's oldest city. For the first time in championship history the event will be held on two golf courses: The World Golf Village-King & Bear Course (I recently played this beautiful course) and St. Johns Golf & Country Club. Additionally, this is the first time the field has been expanded to 156 players. 19 of the 32 players that advanced to match play in 2016 will be returning to the year's Championship. Three of players I will be watching are last year's runner-up Sophie Liu , the 2010 and 2012 Champion Meghan Stasi, and Nicolette Donovan from Ponte Vedra Beach. Ms. Stasi won the Women's Mid-Amateur earlier this year. Ms. Donovan is a 2016 Semifinalist and Co-Medalist, and a Quarterfinalist in 2015. This event was open to any female amateur golfer who is a Florida resident with a valid USGA Handicap index not exceeding 18.4. I am still trying to get to a 36 handicap. I know, practice, practice, practice! Anyway this year's field consists of a mixture of juniors, collegiate players, mid-amateurs, and seniors from age 12 to 68. The format is 36 holes of individual stroke play qualifying on Thursday and Friday. All players play 18 holes each at King & Bear and St. Johns Golf and Country Club on Thursday and Friday. Round Two's shotgun pairings will be repaired by score withing each assigned course. The field will then be cut to the low 32 players for the Championship match play. Click here for live scoring. 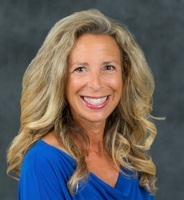 Barbara Jenness is a licensed real estate broker in St. Augustine, Florida that enjoys playing golf and selling properties in golf course communities. Visit her website at http://BarbaraJenness.com.